Please evaluate, thank you so much! Would really appreciate a look at my profile, thx! Background and nationality: Chinese male, age 26, spent 25 years in China but scored 29/30 on speaking of TOEFL. GMAT: 740 (q50 v40 awa5 ir4), will take again soon. Work experience and leadership: 2.5 yrs at the top investment bank in China, 3.5 yrs at matriculation. I started as a CDO manager and managed securitization projects. Since 2018 my role has been shifting to alternative credit investment. I currently focus on private non-standardized debt investment and CLO equity. It was a good combination for me, because private debt investment trains my soft skills in project management and communication, while CLO equity investment trains my hard skills in quantitative analysis. I also help the macro rates group on investment research projects. -Led one of the most complicated securitization deals in the ninth month of my career. Both VP and SVP were taking maternity leaves and the management responsibilities fell on my shoulder. I was in a position to make 80% of all the decisions and to manage lawyers, credit analysts, and interns. I wasn't able to close the deal because of regulation change, but it was still good experience and I learned a lot from it. -With an intern and a colleague, I developed the investment analytical models and system for consumer credit asset class, opening out group to a trillion dollar market, which is very premature because so few people in China understand the quantitative technology behind it. I made a good impact by replacing traditional investment analytical methodology with 21st century data science. It was a changing point of my career because the project enlightened my ambition in FinTech. -Did a bunch of digitalization and automation work since I decided to go into FinTech in the future. For example, I built a database wrote a small program to automate the non-standardized debt trading execution and paperwork drafting. It does not involve much leadership experience, but I'd like to think that I made some impact. -Volunteered at a micro-loan non-profit in senior year of undergrad as a credit analyst. -Volunteered at a social enterprise that provides consulting service to non-profits. Brokered a large amount of impact investment funding from a tech giant for a small institution based in the poorest town in Yunnan Province. -Used to be an amateur athlete of 200m sprint. Long-term: FinTech - robo adviser, hopefully to start my own firm at some point down the road. Short-term: Either traditional finance or tech firm would make sense in the short term, becasue a solid background in either finance or tech could help a career in FinTech. Low GPA: I'm aware that my undergrad GPA might be a deal breaker. I went to a school that happened to gather all the top mathematical geniuses in China. I enjouyed the challenge, but my GPA inevitably suffered because the courses and exams were specially designed for those guys. I hope my graduate GPA and my work could somehow prove that I'm fully capable of advanced learning. 5 months' gap: I came back to China in Sep 2016 but started working in Feb 2017. The gap was because Chinese firms don't usually do Skype interviews for students abroad and it is very common for Chinese students to attend campus recruitment after they come back from US to China. We actually have a law specifically saying that students who study abroad will maintain legal status of fresh graduates for one more year after they come back. Insufficient experience: I’m aware that my WE is a little insufficient, but I feel that I have developed as much as I can at my current job. I’m working at one of the best institutions in China but I aim for much higher platforms in an international context. I can’t go further in China because of the slow market reform, the rigid system of state-owned enterprise, and the tightening control of financial innovation. I’m confident my 2.5 years’ experience is more solid than that of most Chinese applicants. It’s time to go for bigger challenges. CBS makes the most sense to me because of its strong coursework and resources in FinTech. After two weeks of researching, I couldn't find any other school that is even close to CBS in the field of FinTech. MIT and Cornell, with its tech track, make the second on my wish list. Wharton and NYU come third because of their strong network in traditional finance. I only listed the schools that are well recognized in Europe and Canada, because there is a chance that I will not be allowed to reclaim my remaining OPT in US, so I need to prepare for the possibility of being forced to look for jobs in Europe and Canada. I will also apply for Rotman, LBS, and IESE. Thanks for reaching out for a free evaluation. In lieu of writing a lengthy reply, I'd rather we connect via Skype/phone so we may have a real dialogue and you can ask me questions as I give you an assessment. Additionally, I will be able to offer you a much more robust assessment if I am able to ask you more questions. 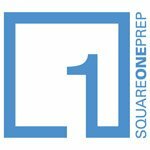 If doing a free consult via skype/phone interests you, please fill out our FREE CONSULT form http://squareoneprep.com/free-consultation/. I look forward to hearing from and speaking with you soon. Thanks again for reaching out.